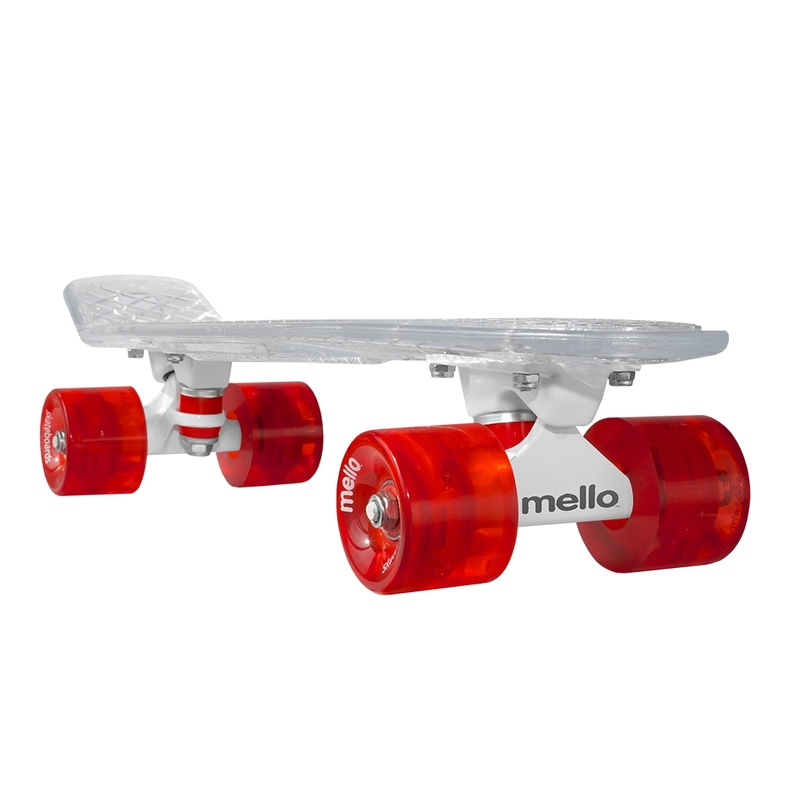 The mello LED skateboard is the next generation in cruiser skateboards. 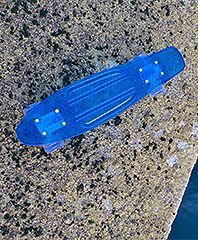 As well as providing a well built and stylish, iconic classic cruiser skateboard, it takes skateboard design and development to the next level. 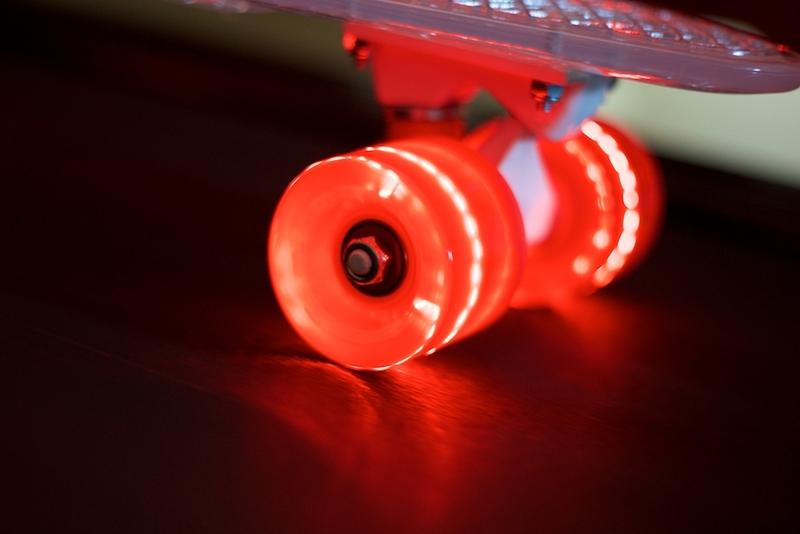 By harnessing the kinetic energy you create on your ride through the bearings and returning it to the wheels, the mellow LED skateboard powers the bright LED’s housed within the wheel sets lighting up your board and leaving a trail of light as you cruise. 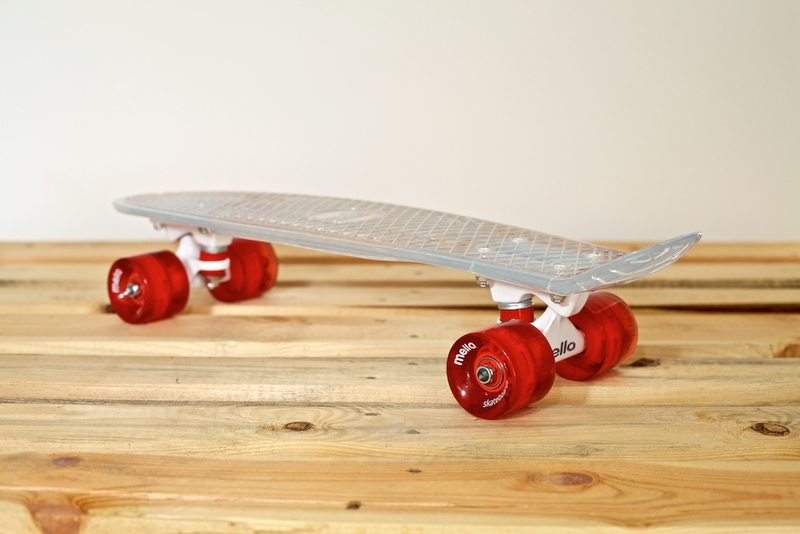 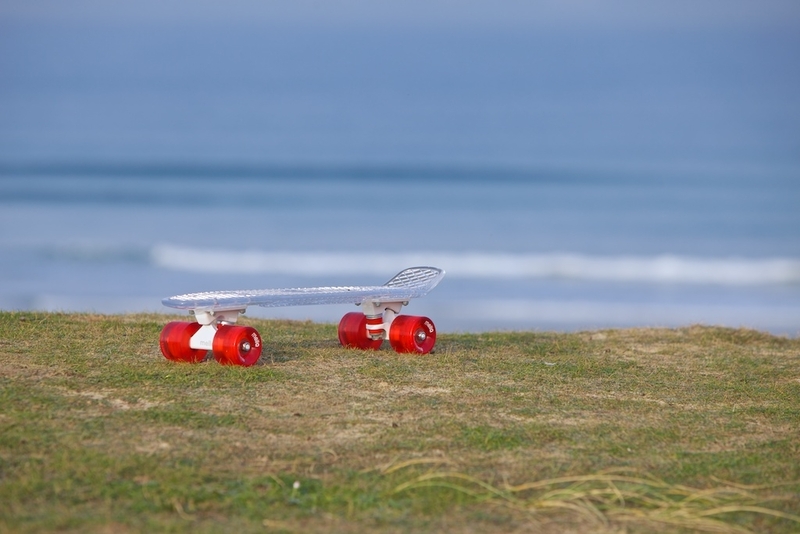 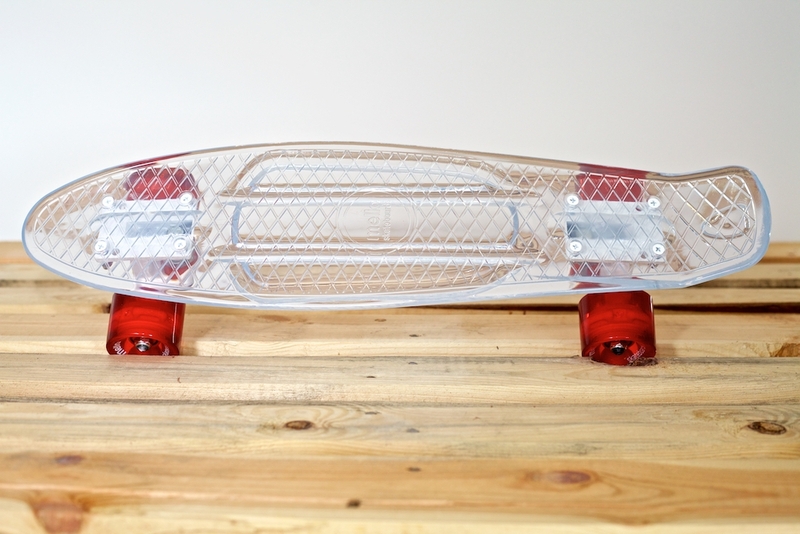 Comprising of a 22″ kicktail diamond moulded polycarbonate deck with 3″ powder coated aluminium trucks, high spec ABEC9 bearing sets and topped off with mello 59mm, 78a transparent LED PU wheels. 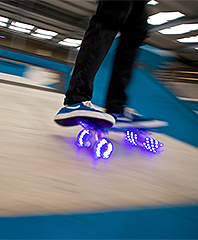 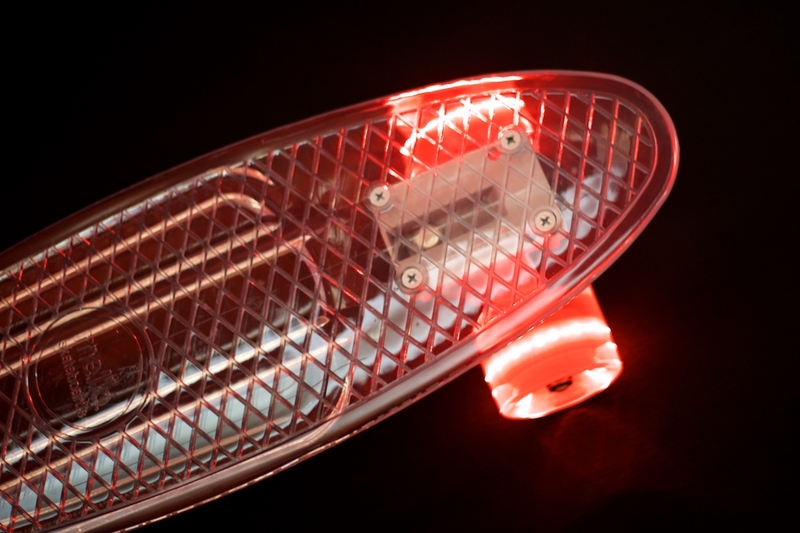 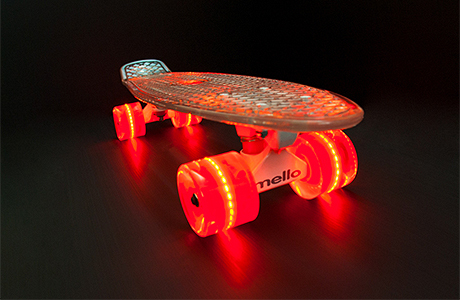 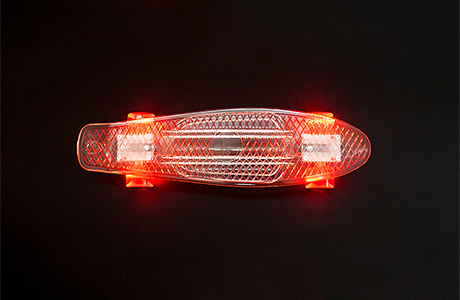 The mello LED skateboard is guaranteed to turn heads.